The head of the FIDE chess federation and former president of the Russian Republic of Kalmykia says the international chess party would promote chess and unite other political parties and movements. 50-year old Kirsan Ilyumzhinov headed Kalmykia from 1993 till 2010. He also was elected president of the World Chess Federation FIDE in 1995 and still holds this post. 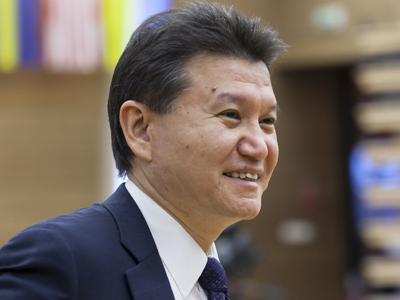 In an interview with the Izvestia Daily Ilyumzhinov said the planned the Chess Party will be an international movement uniting all 178 countries that are FIDE members. He emphasized that the representatives of the party would run for parliaments of all levels and in various countries. The main objective is to lobby for chess all over the world and give more support to the game. He set an example of the Republic Party of Kyrgyzstan that prepared a bill introducing chess as compulsory school subject. Ilyumzhinov is a member of Russia’s largest party United Russia and he says he will remain in it and his role in the new project will be of an informal coordinator. He added that he wanted other parties from all sides of the political spectrum to join the Russian branch of his movement. He claims to be ready to invite former chess champions Anatoly Karpov and Garry Kasparov (who are a United Russia MP and a leader of the Coordination Council of the Opposition), former head of Vladimir Putin’s elections HQ Stanislav Govorukhin, the leader of the populist opposition LDPR Vladimir Zhirinovsky and many others to join his cause. As its first steps on the international level the movement plans chess tournaments between North and South Korea and after that between Palestine and Israel. Some Russian politicians, like Vladimir Zhirinovsky and Stanislav Govorukhin welcomed the initiative, Anatoly Karpov, however, said that there was no need in the movement and that chess, like other sports, should not be mixed with politics. 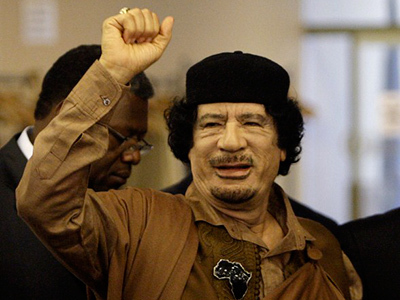 After leaving the post of Kalmykia’s leader Ilyumzhinov has not taken an active part in politics, but in June 2011 he went to Tripoli at the invitation of Muammar Gaddafi and played a game with the embattled dictator. 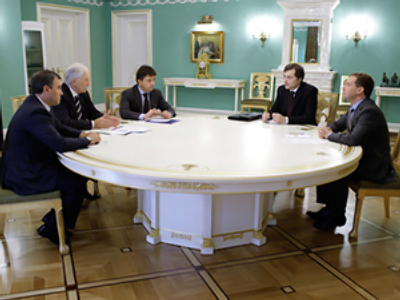 This was a personal visit and Ilyumzhinov was not representing Russian authorities.